Roller coasters: fun. Driving a Ferrari: also fun. And there's only one place where the two meet. Nope, not in the parking lot at your local Six Flags. We're talking about Ferrari World. 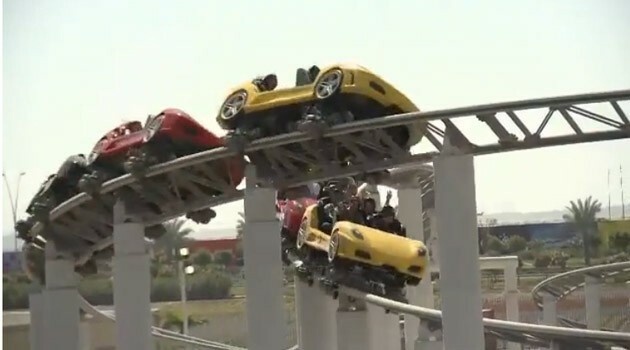 The theme park is finally open to the public, complete with all the attractions, from F1-themed coasters to a pit crew-themed acrobatic take on Cirque du Soleil. Unfortunately you'll need to travel all the way to the Abu Dhabi to see it first hand, so if that's not in the cards any time soon, or even if it is, you can follow the jump to watch the video and see what's in store.